Welcome to our second monthly reselling report. 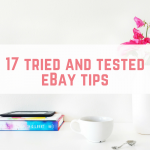 We started our reselling business on eBay in January 2017, and we love sharing our progress with you. 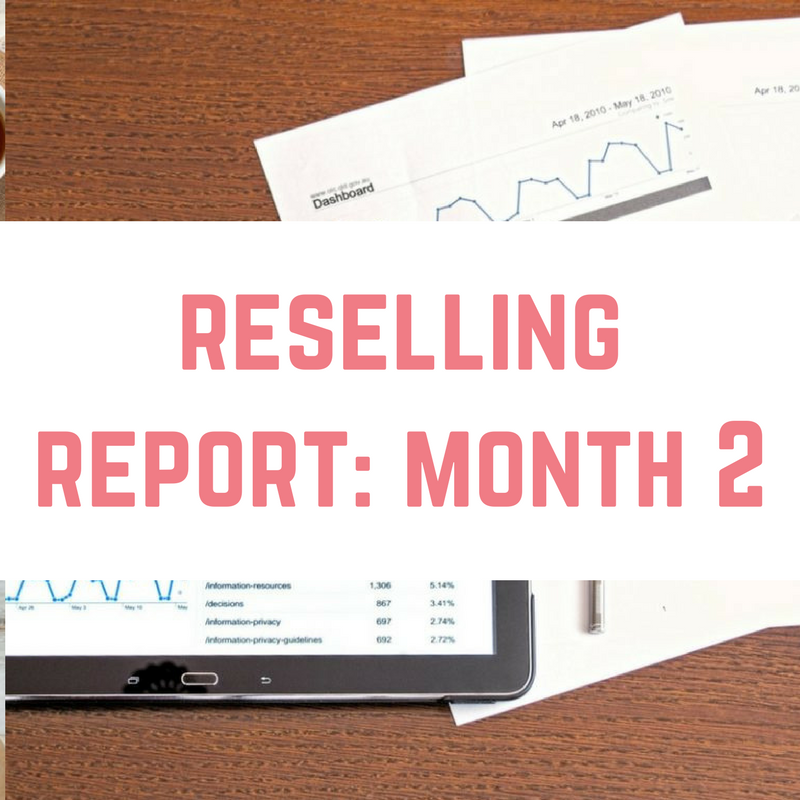 A lot happened in our second month, so keep reading to see how we got on with our UK reseller report, month 2. 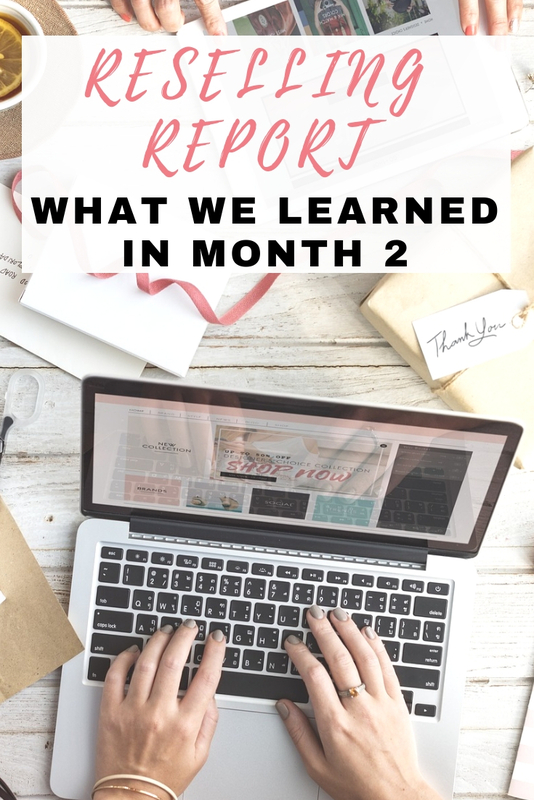 We learned a lot in our second month of reselling, probably a lot more than our first month! I have so much to tell you, that I don't know where to begin! A major thing that happened was that we opened our eBay shop. 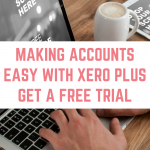 A shop is different from a business account – you don't automatically have a store because you have a business account. 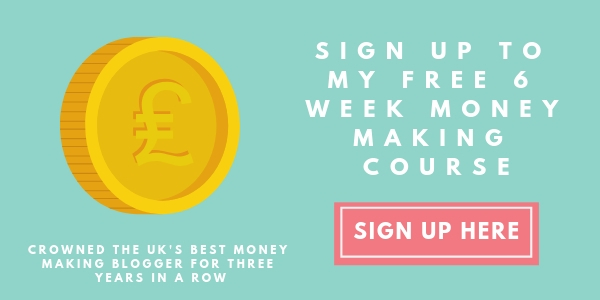 We made the decision because we were paying 26p per listing, and a shop cost under £20 a month and you got 200 free listings a month (worth £52! ), making it a no brainer. We didn't get close to using our 200 free listings, but more on that later. It was a month of firsts for us – we had our first ever return request (although typically the item hasn't been returned), our first ever non-paid item and we started accepting best offers on items. The unpaid item really bugs me because they haggled us down from £62.99 to £47.99, and then just didn't pay. Why bother? 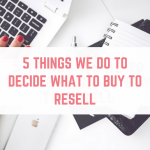 As for listings, we set our goals too high – last month we vowed to have 250 items listed, which, looking back, was not realistic compared to how much time we have to dedicate to reselling. February has taught me that reselling is meant to be one of many side hustles, not the main one. Of course we could be doing more, but getting manic about it takes the fun out of it, and we definitely want this to be fun! Likewise, we didn't manage to get anything sent to FBA. I have such a poor excuse for this – we couldn't find our FBA labels (you have to label the products with a barcode). Despite hunting high and low, I gave in and bought some on eBay, so I really must get a box sent off soon. I spent some time in February finally sorting out our eBay room so that it is a functional room instead of a dumping ground. I can't believe the difference it has made – it isn't perfect and being an eBay room, it never will be, but I am loving how organised it it. Along with sorting the room out, we also bought a mannequin and dress rail to store clothing upstairs in our spare room. Another great thing that we did in February was to dabble in auctions. We had gone to them as buyers, so we tried our hand at selling stuff in the auctions, and it went really well! We sold off lots of our own unwanted items, as well as putting in the unwanted items from job lots we purchased from an earlier auction. We purchased a few board games that were incomplete, which led us to buying some spare parts on eBay…and discovering that we can sell incomplete board games as spare parts. This is so simple and yet it completely blew my mind. What's more, we have actually made a sale of just the spare parts! 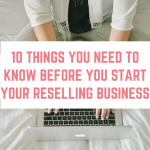 I also wrote a guest post for Cora from The Mini Millionaire about the things I learned in our first month of reselling. 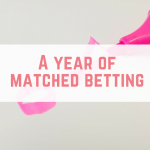 Click here to read month 1 and see the difference. The first thing to note is that I've removed some things from the table above because they were no longer relevant – for example we have been buying a lot of job lots, so counting every individual item would have taken too much time. We also discovered a great app called BidHero, where you can search eBay for all sorts of things. We used it to look for “job lots” within a 20 mile radius, and we managed to pick up an amazing car load of stuff for just £10.50! We spent over £200 on stock, and we made a profit of £224.41 on the 26 items that did sell throughout the month. 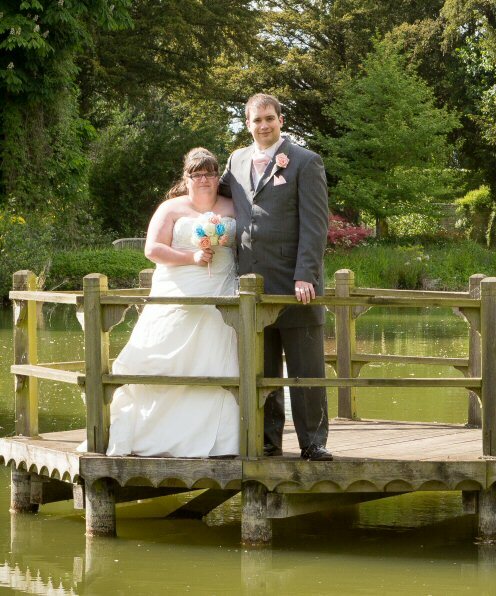 We travelled a lot – a lot more than our first month! Other expenses (which came to £32) are a mannequin, parking, car boot sale entry and storage boxes. 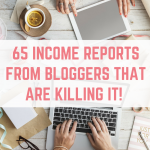 We have bought so much this month, I'm going to let the Instagram posts and YouTube hauls speak for themselves. I do understand the charity stuff – pretty good bargains there. But what about FBA – do you buy items in bulk from the retailers or suppliers? Do you send individual items to FBA too, as you do on eBay?